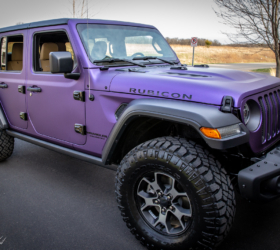 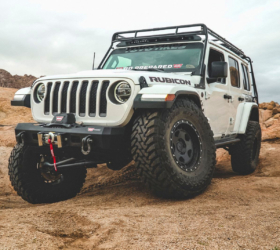 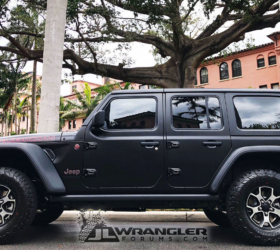 Unwrapped 2018 Jeep Wrangler Unlimited (JLU)! 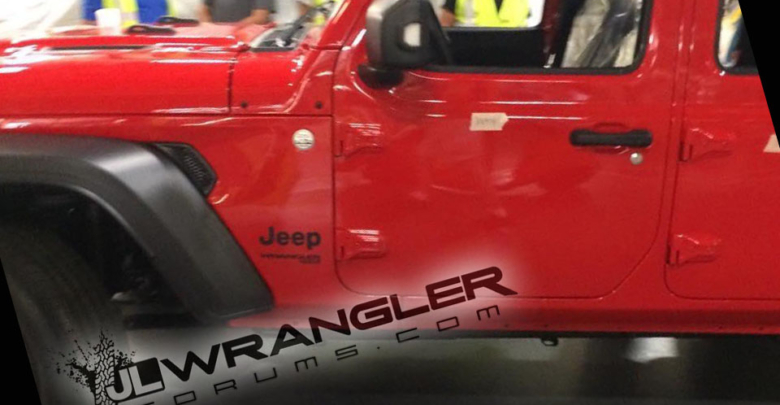 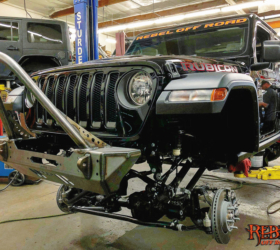 This leaked image from the Toledo plant gives us the very first look at a completely uncovered 2018 Jeep Wrangler Unlimited (JLU)! 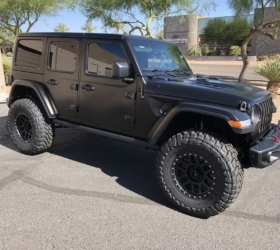 Seen here is a JLU with a black canvas soft top. 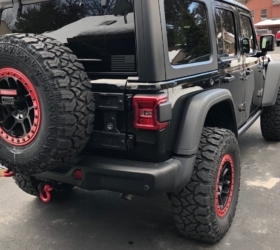 Given the lack of demarcation on the side of the hood to indicate trim level, this could be a Sport model based on what appear to be more street-friendly tires and lack of rock rails. 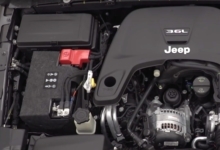 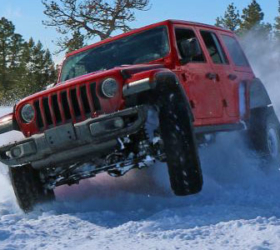 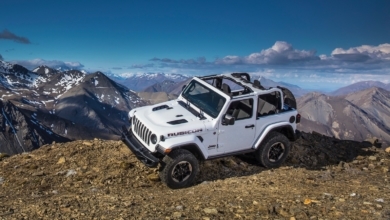 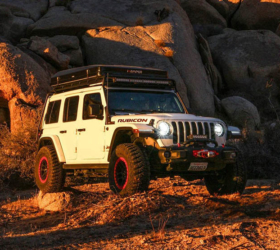 However, the vehicle also has a vented hood which may be a Rubicon-only feature as it is in the current generation JK Wrangler. 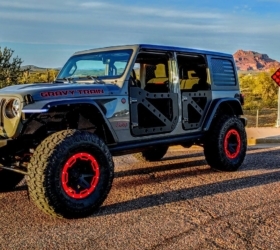 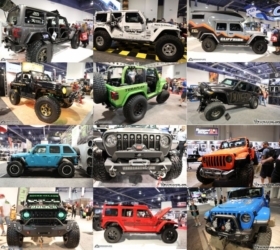 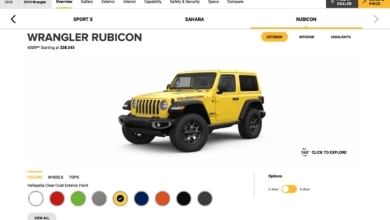 Many of the visible design changes and features that JLWranglerForums first showed you in the leaked images and our digital renderings have been proven accurate with this image, including a fender vent, albeit smaller than predicted, redesigned body colored door hinges, buttonless door pull-handle, a body character line reminiscent of the TJ Wrangler running the length of the vehicle, higher mounted side windows and a flatter hood with redesigned hood bumpers for the removable windshield, fixing the forward rake of the current Wrangler. 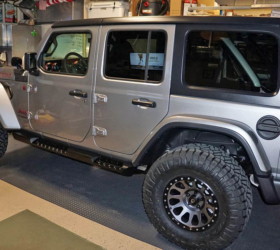 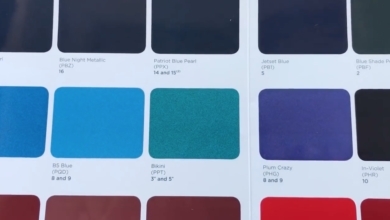 This prototype JLU has a black canvas soft top and black fender flares which we know from the FCA dealer system leak to be returning as options. 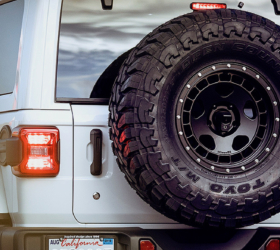 As expected, the fender flare arches have received a more aerodynamic makeover and appear to be made of higher quality plastic with a slight polished finish, to address longstanding concerns about the graying effect on the current model Wrangler. 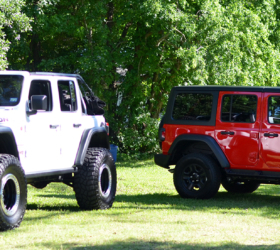 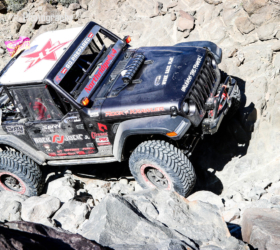 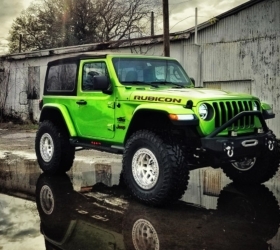 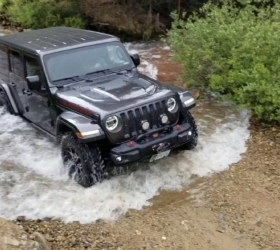 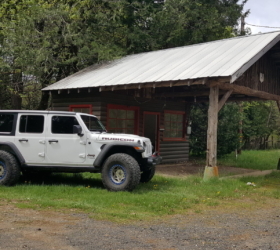 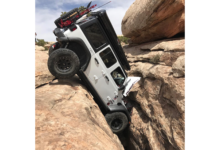 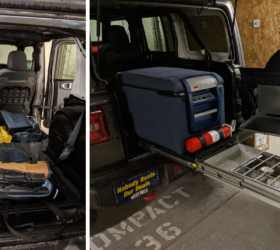 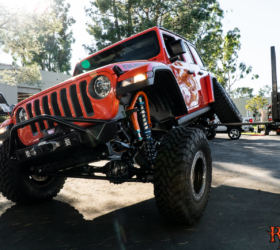 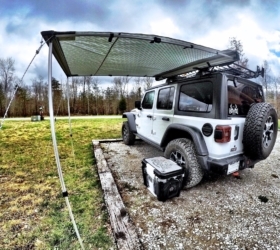 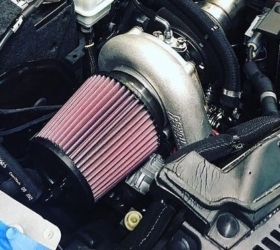 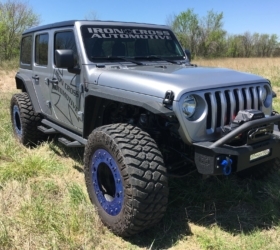 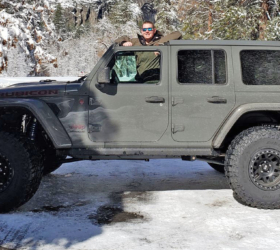 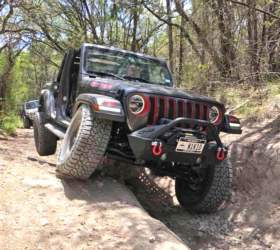 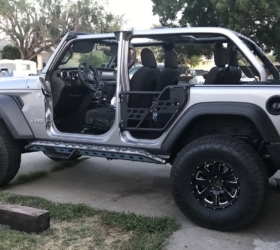 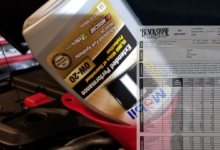 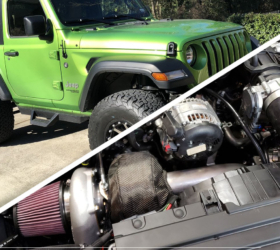 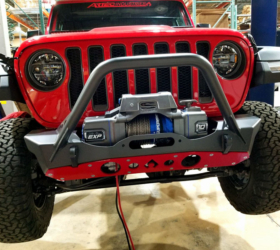 Take a look at the very first uncovered 2018 JLU Wrangler and join the discussions in our forums!